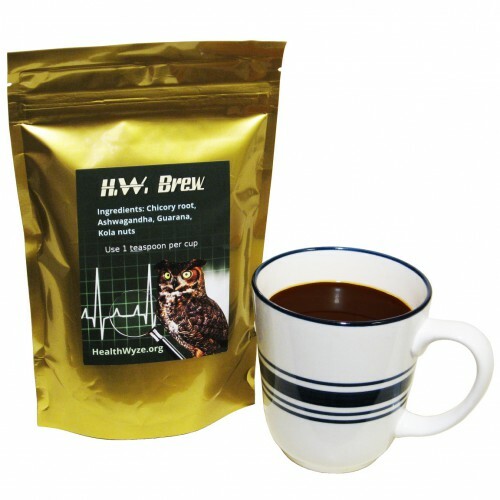 You might feel that this unique brew is just another coffee alternative before tasting it, but you would soon find yourself feeling that coffee is only a cheap substitute for the H.W. Brew. The perfect brew brings an emotional experience that affects all of the senses simultaneously, to bring a moment of bliss in an otherwise hectic world. Our special formulation of natural ingredients is a hint of heaven. The taste has a slightly nutty flavor that reminds some people of hazelnut coffee, and it also has a hint of a vanilla-like flavor that reminds some people of french vanilla coffee. Our brew has a rich blend of popular flavors that unite together stunningly well. It is difficult to describe flavor using mere words, but a description of how it makes people feel is easier. The feelings produced by this product can make it emotionally addictive, but it is a healthy addiction. 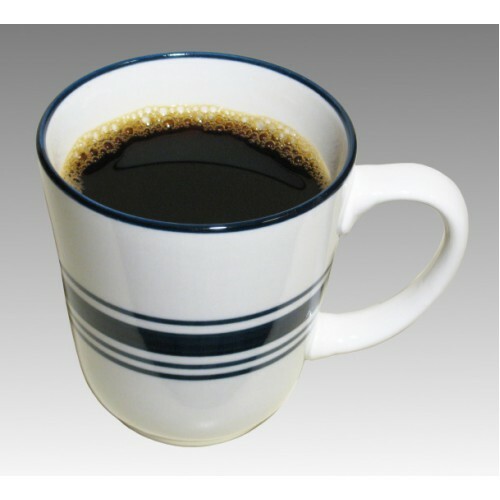 It produces the sort of stimulation that is expected from full caffeine coffees, without any of the usual jitters. What is difficult for newcomers to believe about this unique drink is that it is relaxing, whilst it improves the mood and somehow stimulates to a degree that is at least equal to coffee. It is an unheard-of combination that is astounding for most drinkers, after their first cup or two. We do not intend to imply that our brew is decaffeinated, for it does contain some caffeine, as well as other similar mentally-stimulating compounds from the guarana. However, the really impressive effect comes from the kola nut, which was one of the ingredients from the original Coca-Cola drink, from when it contained cocaine. Kola nut was the "Cola" part from the original formula, and it was the secondary mood enhancer after cocaine. It naturally has the same sort of "feel good" and stimulation properties, like an endorphin. So we feel confident that you will become happier when drinking this brew, and we mean it literally. After a cup of the H.W. Brew, we feel serene and yet more alert and better focused. Perfection, in other words. Chicory root tastes like coffee when it is sampled alone, so it forms the foundation of the brew. Chicory teas ("coffees") have been used to prevent gallstones, as well as to naturally treat a variety of gallbladder and liver disorders. It contains stimulating compounds that have not yet been isolated. It contains both vitamin C and magnesium. It is widely believed to help with a variety of digestive issues through a prebiotic action. Kola nut has psychogenic effects and it contains some caffeine. Kola nut extracts are used by the pharmaceutical industry in products that are formulated to suppress nausea and migraine headaches. In Jamaica and Brazil, kola nut is consumed as a sexual stimulant and to treat E.D. It can be chewed before meals to promote better digestion and to enhance taste. It is also used to heal superficial cuts throughout Brazil. Because it increases metabolism in the body while causing appetite suppression, kola nut can also be used as an aid in losing weight. Ashwagandha has ginseng-like effects, so it is often called "Indian ginseng". It is believed to promote mental clarity and improve memory recall. Guarana is an all-natural stimulant that contains a substance called guaranine, which is often mistaken for caffeine. Guaranine is safer, and yet it is more potent as a stimulant. Guarana contains large amounts of theophylline, theobromine, and tannic acid. It is rich in saponins, which reduce the risk of cancer and boost the immune system. While the effects of caffeine only last about 3-4 hours, the effects of guarana can last for 8-10 hours. Studies in rats have shown that guarana increases memory retention and physical endurance. Guarana is ideal for dieters, because it somehow releases and uses energy primarily from fat cells. This process is poorly understood, but it has been repeatedly observed and documented. Guarana improves mood, concentration, memory, dissolves extraneous fat cells, and it provides energy for up to 10 hours without jitteriness or side effects. Some studies have cited its anti-oxidant and anti-bacterial effects, and fat cell reduction in mice when it was combined with conjugated linoleic acid (found in real butter). Only one teaspoon of it is needed for a large mug (11 oz.) of H.W. Brew. Notice this is not a tablespoon. The H.W. 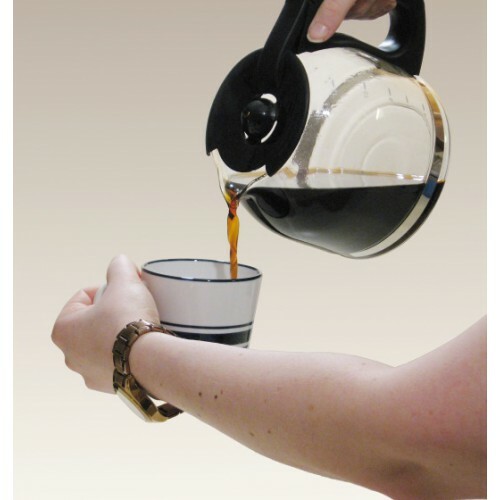 brew has a fine consistency, so it should not be made inside a percolator or a French press. 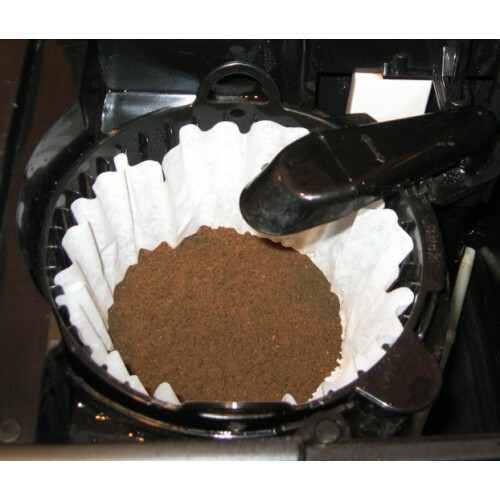 It is best brewed with a standard (drip) coffee brewer or inside a teabag. Use a paper filter, in other words. Add cream and sugar as you would with coffee, for the brew was designed to be a drop-in replacement for coffee, and yet be better. The flavor will be as harsh as black coffee if you completely forgo cream and sugar. We realize that some people actually prefer this, but be aware that drinking it straight (black) will exaggerate its different taste to coffee. Use cream and sugar as you normally would. You will get the best flavor if you use real dairy cream, instead of milk or a so-called "creamer" product. Due to the preservatives and other terrible additives that are in most U.S. dairy cream, most Americans should alternatively use evaporated milk. It is a considerably safer option at most U.S. locations, and it has similar properties to dairy cream. You may not find absolutely pure evaporated milk either, but the additives are generally much safer. Use real, unbleached, and unadulterated sugar. Our recommendation is a sugar product containing only "evaporated cane juice". Such sugar is stronger, absolutely healthy, and it is just better in every way, as God made it. This is the premier sugar that our grandparents savored, and therefore it is commonly organic. Try making the H.W. Brew stronger. Instead of using flat teaspoons, use rounded teaspoons, or even double the amount. You will have less of the product, but you might find it so worth the loss for a taste of liquid heaven. Enjoy the H.W. Brew with a friend to spread a little love. For variety, occasionally add a rounded teaspoon of cocoa powder to your brew for a mocha-like delicacy. If you get it right, it will taste better than a regular mocha. It has a different flavor when it is allowed to cool, so try it both ways. Drink it slowly to savor it. We know it will be tough. How Much Brew is in a Bag? Each bag contains 200 grams of brew, which is approximately 95 teaspoons. This means that about 94 cups of brew can be made if level teaspoons are used. Of course, most people will want their brew to be stronger than just the minimal strength, so they will use rounded teaspoons. Most people will use a single heaping teaspoon or 2 teaspoons of the brew powder to make it strong, and this will decrease the amount that can be made to about half. 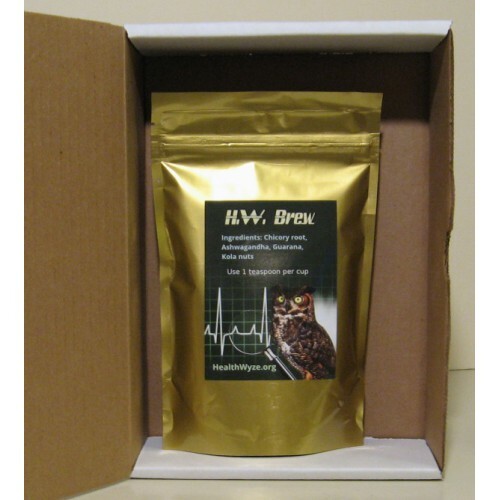 Therefore, most people can expect to get approximately 50 cups of brew from a bag. The number of cups is more than people get from most bags of commercial coffee when considering the amount that is needed to create a drink of equivalent strength. There may not be any end of life for this product. Unlike coffee, it does not produce carbon dioxide gas or contain volatile organic compounds. The brew is made from dehydrated and powdered herbs, so it could potentially last for many years in its original pristine state. It should be kept in a dry environment to ensure that it is long lasting, and every bag features a convenient zip-lock sealer at the top. Why Does the H.W. Brew Cost More Than My Coffee? The question is, does our brew really cost more? Comparatively speaking, we offer much more for much less, and we are not just talking about the taste. When the number of cups that a bag of our product makes is compared with virtually anyone else's, then our brew is shown to be less costly, even though our exceptional ingredients are exceedingly more expensive to procure. Our customers pay only about 25 cents for a cup of our brew. Compare this with Starbucks' coffees to bring reality into perspective. This would actually be a difficult task, because other companies work tirelessly to hide how many cups of coffee that their bagged coffees make, and why their brews always seem to be exhausted quickly. However, we do need to warn you that our brew is likely to disappear fast too. Our brew is remarkably low priced when all things are considered. It is a gourmet brew that is literally handmade by us. It is not some commoditized coffee product that we simply bought in bulk for pennies a truckload, which is what most companies do. Does the H.W. Brew Contain Impurities? We have labored to ensure the purity of this product. The ingredients are purchased only from reputable sellers, and they never come from China. Some ingredients are native to India, however. The main ingredient, chicory, is laboratory tested, and it consistently has a lower heavy metal content than organic vegetables. What Will You Do When Starbucks' Guys Come for You? It's okay. We are prepared for them.